Can Wynn Casinos Recover From Steve Wynn’s #MeToo Scandal? Of the many powerful men brought down by the #MeToo movement, the disgrace visited upon casino mogul — and high-profile Trump booster — Steve Wynn may well have been the costliest to the greatest number of people. Since February, when the Las Vegas icon behind some of the most celebrated and profitable casino resorts stepped down as CEO amid multiple accusations of sexual misconduct, Wynn Resorts stock has lost about 40 percent of its value. Other market forces are also at play in the casino sector, to be sure. The ongoing trade war with China has sowed uncertainty and weakness in Macau, the world’s largest gambling market and Wynn’s most significant profit source. Investors and analysts fear Beijing may exact revenge over higher tariffs on the U.S.-based casino conglomerates by restricting travel from the mainland and threatening licenses to operate. Also, Chinese players under economic stress will have less cash to blow on baccarat. 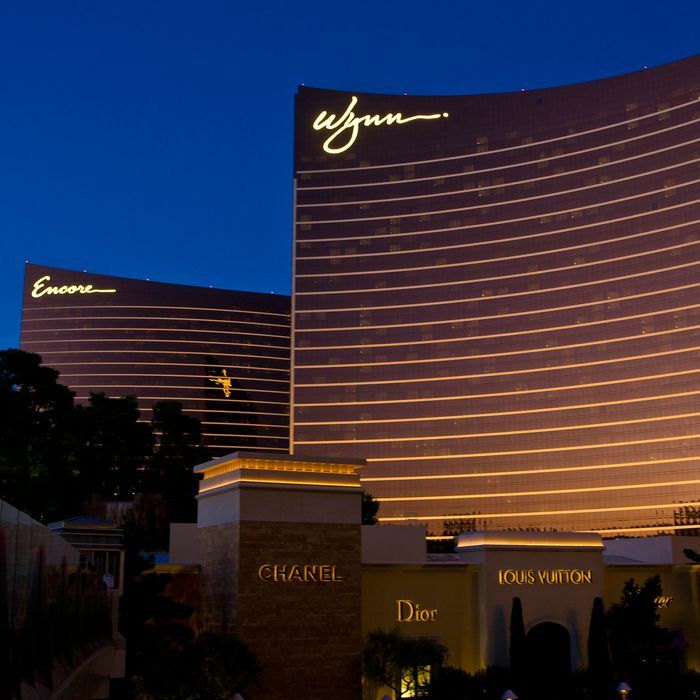 Still, fallout from Wynn’s personal scandal dominates the company’s outlook. Probes are ongoing in several jurisdictions into what the board of directors and corporate attorneys knew about Wynn’s alleged misbehavior, with Massachusetts regulators most notably reconsidering its license approval. That’s a worrisome wrinkle given that the $2.5 billion Encore Boston Harbor — originally to be named “Wynn” until the scandal broke — is to open in June. Also, uncertainty swirls around CEO Matt Maddox, previously the company’s CFO, and new chairman Phil Satre, a former Harrah’s CEO. They’ve already scrapped Steve Wynn’s ambitious plan to turn a Vegas golf course into a lagoon. Is the worst over for Wynn? Will its reforms — which includes the addition of several female directors and the exit of Wynn cronies — be enough? And, much like Apple post–Steve Jobs, many wonder where the creative vision comes from without the man whose personal taste and market instincts dictated every aspect of his resorts. “We see a lot of catalysts in place for the business, No. 1 being Boston coming online in June. We don’t believe Massachusetts regulators will shut down the largest private construction site over somebody who’s no longer with the company, as there could be legal liability if they tried. Plus, there’s a lot of mouths to feed up there and jobs on the line. We also haven’t seen evidence that the company did anything wrong from the standpoint of corporate governance in getting their license. And bringing on Phil Satre, who is so well respected, should put to rest any corporate governance questions. We like that Matt Maddox has that accounting background. If there was one knock on Steve, he never underspent on anything. Maddox has cut the redevelopment of the golf course, but they’re going to finish off the convention center in Las Vegas. That will generate significant free cash flow, just like Boston and their proposed expansion in Macau will. His focus is getting the free cash flow up, and we like that. It’s a testament to the physical infrastructure that they have, which we think are the finest facilities on the planet and the markets that they’re in, and the quality of the people throughout the company. Those are all intact with or without Steve Wynn. The brand became much bigger than he was, much like Walmart was much bigger than Sam Walton. Obviously, President Trump isn’t doing the business any favors in the Chinese market, where Wynn makes two-thirds of its revenue. But this is not just a Wynn problem; all these casinos stocks are down right now. But if you look at the growth of the Wynn Palace in Macau, the business there is still in growth mode two years after opening. Maddox is betting on Macau turning the corner and picking back up at some point in the next two or three years and being positioned with more capacity for that. Steve Wynn is certainly very iconic, and I understand why in the short run some investors may have some concerns. But we certainly don’t see any reason why this stock can’t go back up to where it was. It’s a value play over the long run.” —Trip Miller, managing partner, Gullane Capital Partners. “Steve Wynn’s departure presents a measure of uncertainty around whether Wynn will be able to grow in the same way, whether they will be able to execute on the properties they have as well as other development projects they have ahead of them in the same way. He was inarguably a visionary and certainly a powerful figure when it came to dealing with regulators in new jurisdictions. It’s hard to argue that his absence isn’t a negative. Wynn could still be a very good company but not in the same way. When they were developing something, you knew two things with a high degree of confidence. One, it was probably going to be a little over budget, and two, it was probably going to be awesome — and unlike anything else you’ve seen before. Steve Wynn was central to that company in a way that was really unique compared to other companies in the sector. Analysts are usually uncomfortable with an amount of company value embedded in a single person in that way, but it was truly so productive. Now that’s gone. We’ve had two quarterly reports so far since Wynn left. They haven’t been good either in execution or outlook. Another big concern is that Wynn’s concession agreement to operate in Macau expires in 2022 and there is no information as to what happens with those concessions other than public commentary from officials referring to it as a ‘rebid’ rather than a ‘renewal.’ How this plays out over time and the degree to which any political context plays into this process are broadly unknown. I expect Massachusetts to do the economically sensible thing and stay the current course rather than force Wynn to sell their license or property, but I can’t rule out those possibilities. For those reasons, we expect the stock to be about where it is now in 12 to 18 months. That doesn’t mean that it will be a flat straight line across, but we’re not seeing a sustained uptick.” —David Katz, Jefferies & Co.